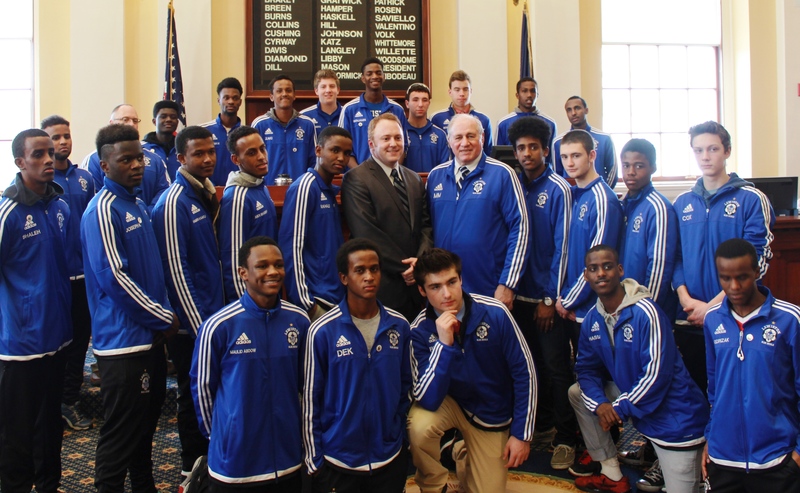 The Lewiston Blue Devil soccer team was recognized in the Legislature on March 8 for winning the 2015 Class A state championship. The team, led by Coach Mike McGraw, won its first ever state championship and finished the season a perfect 18-0. 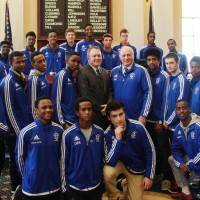 Sen. Nate Libby of Lewiston recognized the players and coaches during the Senate session.